Oreo cupcake pands! 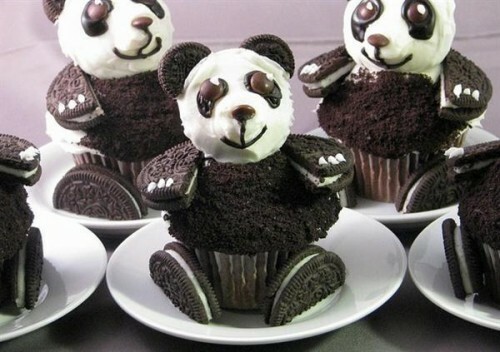 (or Oreo panda cupcakes) by StefanoGuerrera on Twitpic. Gosh this is just too cute! And so creative too. I bet it's very yummy because oreos are always good. Is it possible to get recipe?